Thanks to Janis from Texas, my on-the-spot reporter at the Luck Reunion. 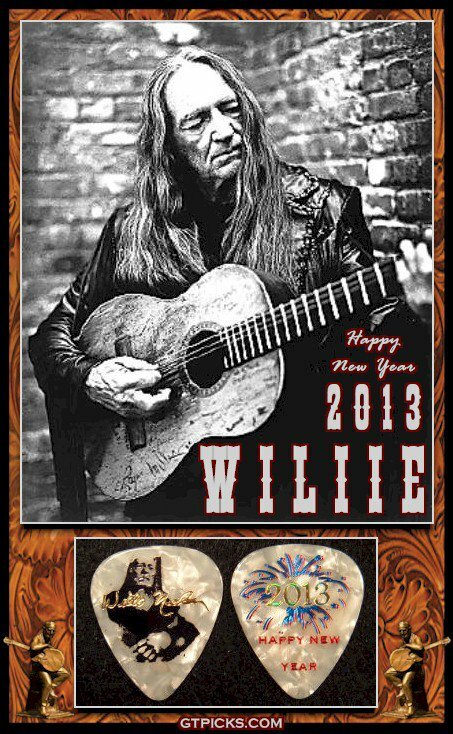 I am snowbound in Colorado and could not get out of town so I am here enjoying the festival through photos from Janis. 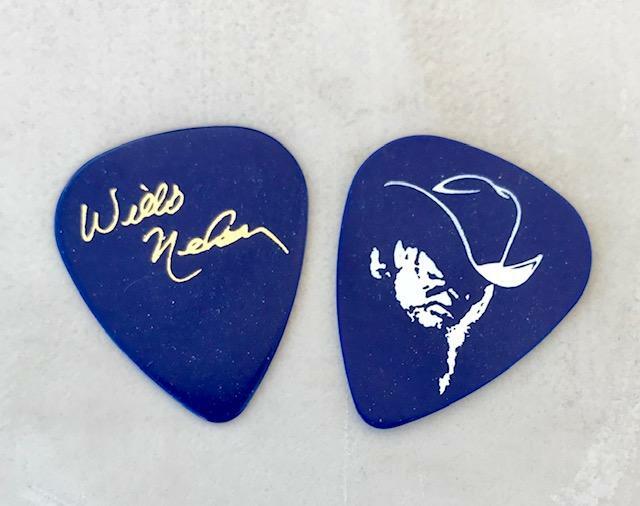 I love this pic of Budrock and Willie Nelson Guitar Pick. 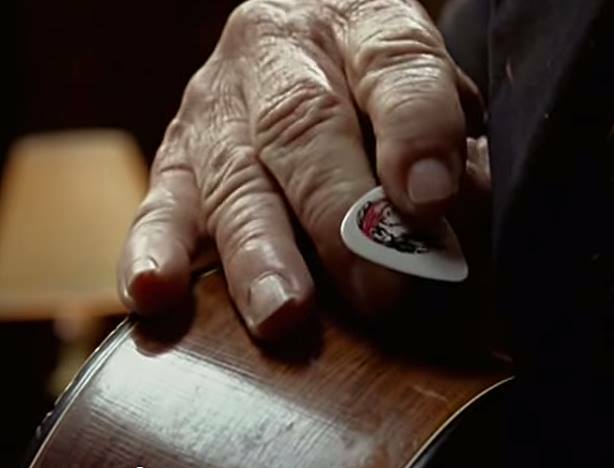 Guthrie Thomas passed away in 2016. 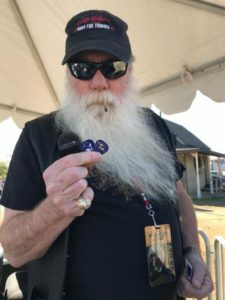 Willie Nelson fans and music lovers know Guthrie for his Guitar Pick designs and collaborations with Budrock Prewitt, Lighting Director for Willie Nelson & Family. 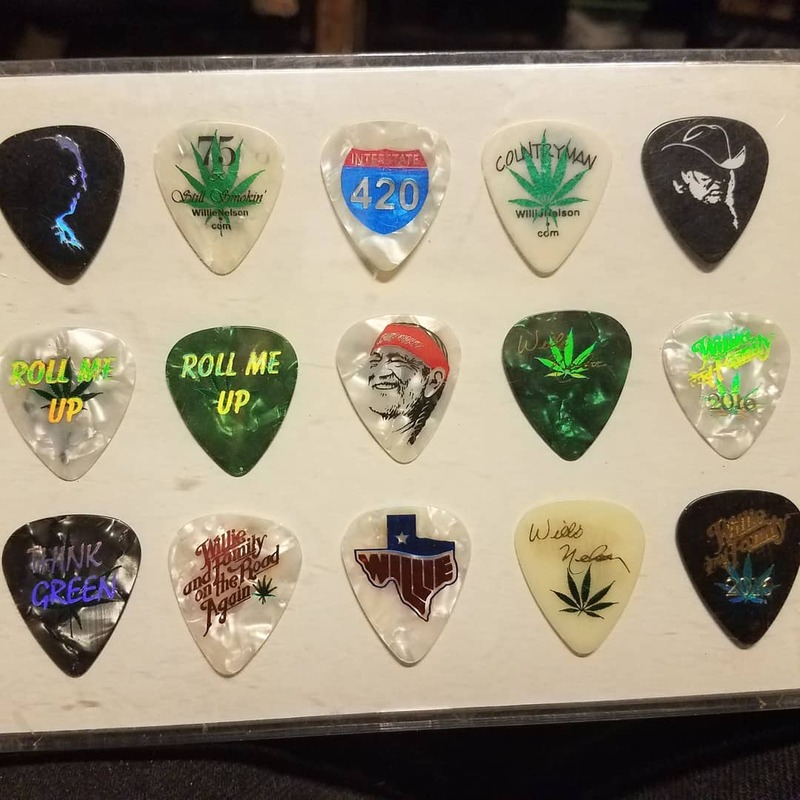 He was generous with his music, his stories and his beautiful guitar picks. 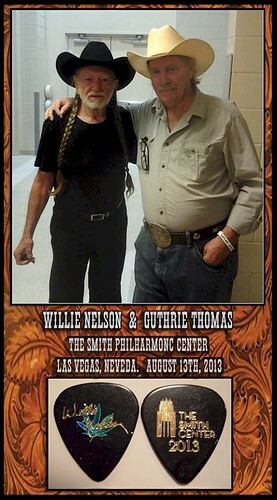 He had great respect and admiration for Willie Nelson &amp; Family and his crew. 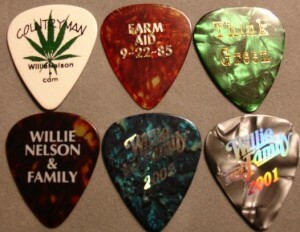 I’m grateful for all the guitar picks he made that I have, many which he sent me himself. Still miss his phone calls and stories. ACA’s new philanthropic initiative kicks off at the 2018 Convention & Expo with an online auction. Stop by ACA Central to see the guitar! ACA International and its members are working to make a positive impact on the communities we visit for accounts receivable management industry events. 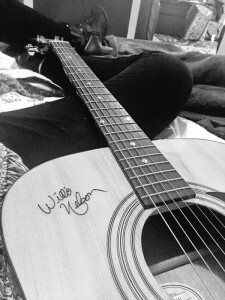 As part of a new philanthropic initiative launching at the 2018 ACA International Convention and Expo ACA, in partnership with the Tennessee Collectors Association, is auctioning an autographed Willie Nelson guitar to support the St. Jude Children’s Research Hospital of Nashville . 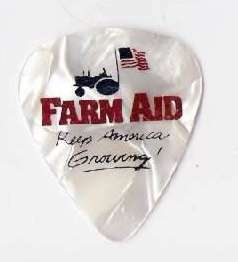 The guitar will be on display at ACA Central throughout the three-day Convention & Expo and the auction begins online July 23 with a starting bid of $500. 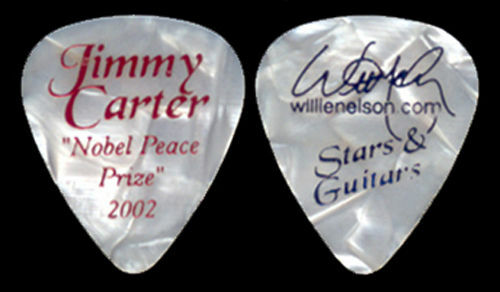 The auction ends at noon Wednesday, July 25. ACA looks forward to seeing members and industry professionals in Nashville. Read more on the kickoff to convention on our website and visit the event page for the agenda. 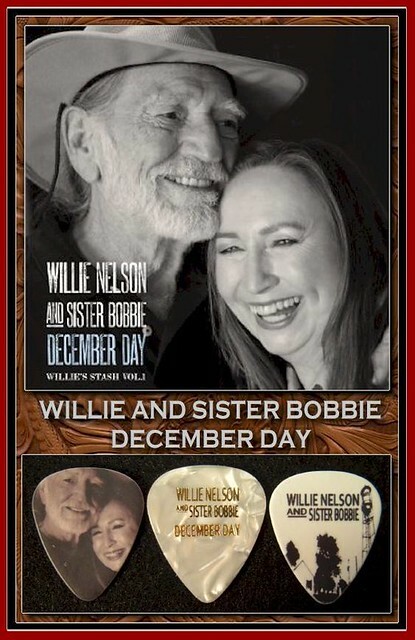 See you in Nashville! 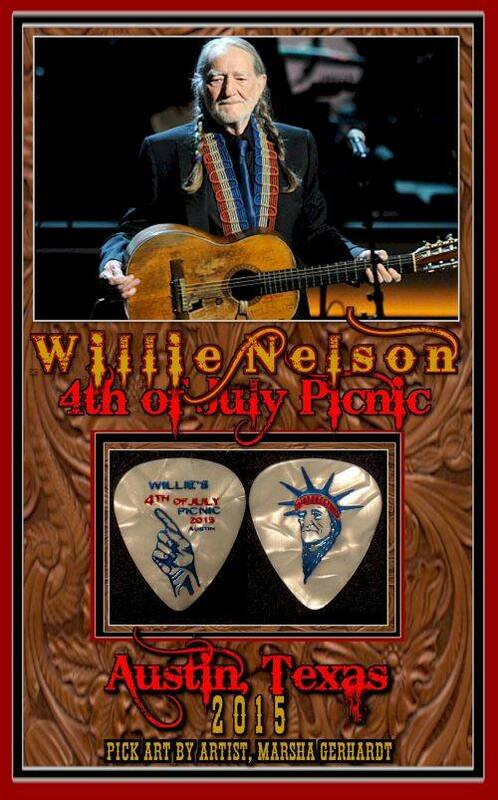 Thanks, to the great Guthrie Thomas, may he rest in peace, for photos he shared of the beatiful guitar pick for this year’s Fourth of July Picnic. 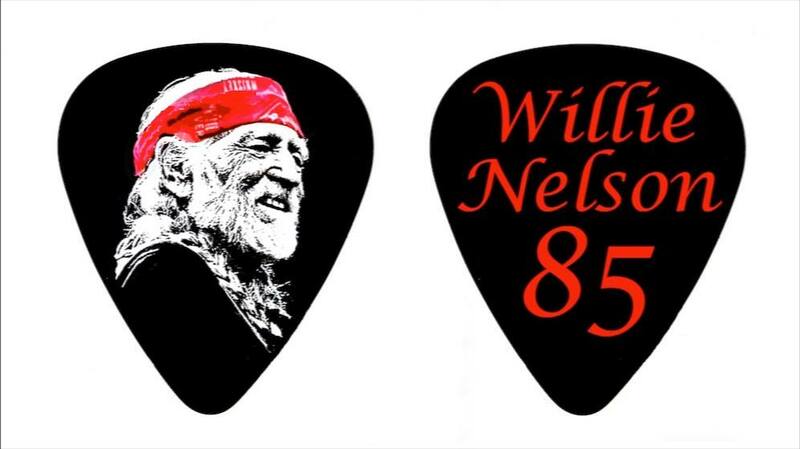 Pick design by artist and Willie Nelson fan Marsha Gerhardt. Thanks, Budrock “The Illuminator”, for pictures of this year’s picnic picks. 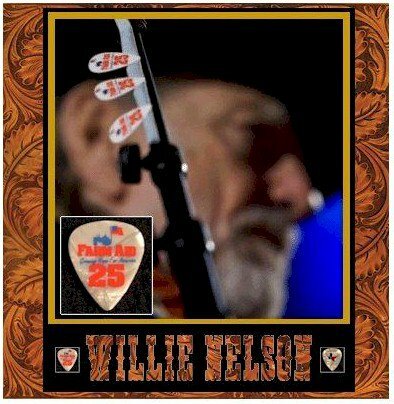 “My latest pick design for Willie.